It is an exciting time of the year as you shop for the perfect gifts for your family and friends. Although you may be preoccupied with the festivities of the holidays, do not forget to visit your dentist. If you have dental insurance, your benefits are about to expire. While you may not think you have any left, less than 3% of Americans meet or exceed their annual coverage. If you do not use your remaining benefits now, you are missing the opportunity to get a healthy smile for reduced rates. Research proves preventive dentistry can lower your long-term dental costs. 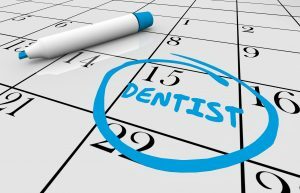 Routine appointments for a cleaning and checkup allow your dentist to monitor your oral health to prevent certain issues from occurring, like tooth decay. As a result, this lessens the need for a costly treatment in the future. For every $1 you spend on preventive services, it can save you $8 to $50 on restorative and emergency treatments down the road. Dental insurance focuses on prevention. By paying your monthly premiums, you can see your dentist twice a year for free or for a small copayment. Unfortunately, even with the best prevention, complications can still arise. To quickly treat the issues, your insurance can cover as much as 80% of the costs after paying your annual deductible. Depending on your specific policy, you may be given $1,500 to cover these expenses. To make the most of your coverage, your insurance recommends you visit an in-network dentist because they have pre-negotiated rates with them to lower the amount you pay. You still have the freedom to visit an out-of-network dentist, but you need to pay the difference between your insurance’s allowable coverage and their fees. Your policy provides you with an opportunity to get the services you need to keep your teeth and gums healthy for affordable rates; however, your benefits do not last forever. On December 31st, your dental coverage expires, and you lose any remaining benefits. They do not carry over for accumulation, and you are not reimbursed for the portions you have not used. To help you make the most of your remaining benefits, your dentist works on your behalf with the insurance company to maximize the value of your policy before the year ends. Although you may be busy, take the time to invest in your smile by using your dental coverage before it expires. Promote your dental health for affordable rates by visiting your in-network dentist today! Dr. Jaclyn Jenson is committed to improving the health of her patients using advanced dental technologies and the latest methods. She provides complete services to enhance the health and appearance of your smile. She works with leading insurance carriers to keep the cost of services affordable. If you have remaining benefits, contact our office today to schedule an appointment before the year ends.